Let’s face it. 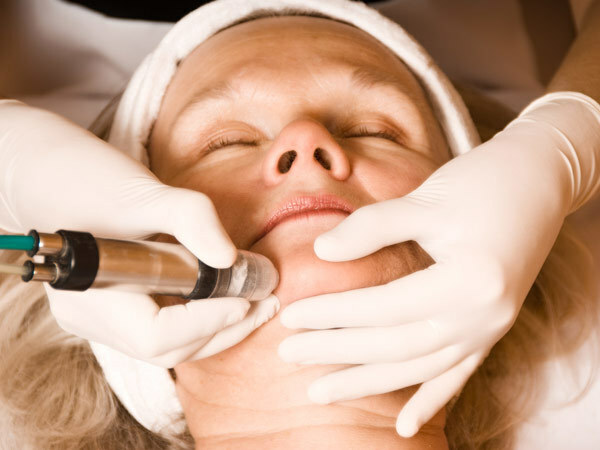 Unwanted hair on the face is our biggest nightmare. But the moment we try to thread it off, we get angry red blotches on our face. So, we try waxing next. Now, our face is not only red and spotty, but also swollen and sore. We solemnly vow that we are not going to experiment anymore. 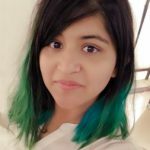 But right before the next date/party/wedding, we are left wondering – what harm can a single session do? And we are back to pedaling the vicious cycle! Fear not! As always, Mother Nature has provided us with amazing solutions that, over time, will help us bid adieu to the much-hated facial hair. I said ‘over time’ because natural remedies take longer to show results. But sticking to natural products won’t damage your sensitive facial skin, unlike those remedies that promise instant results. And unless you are allergic to any of the ingredients, they will not have any side effects. Be careful not to overheat it, or you can get scalded. Also, don’t keep it on for more than 30 minutes, as the citric acid in lemon juice may dry your skin out and make it flaky. Apply it once a week and – voila, you will be rewarded with glowing skin! This paste can also be used as an exfoliator. Don’t do too much too soon. Lemon juice, when used in excess, can make your skin flaky and dry. Soak the turmeric powder in rose water or milk (you can use tap water if you don’t have any of the ingredients at home, and are feeling too lazy to go buy them!). Keep it on for about 15-20 minutes – or till it dries up. Once it’s dry, peel it off. Follow this regime 2-3 times a week for best results. It might be slightly painful…but not more than those wax strips, trust me! You should do this at least once a week, if possible three days a week. Alum powder is easily available in the market. If you don’t get it in powdered form, simply grind the alum chunks. As mentioned earlier, papaya’s papain enzyme makes the hair to fall out. Don’t use soap for washing it off. Indian nettle, when combined with turmeric, penetrates the skin and, over time, thins the hair. Turmeric’s antibacterial and anti-inflammatory properties act as a safeguard against skin infections and allergies. Many women suffer from excessive terminal hair on androgen-dependent areas of their body, such as the breasts or chin, because of a medical condition called hirsutism (7). Women suffering from hirsutism have excessive growth of hair on their face and body. The hair is generally dark and coarse. It usually appears where men typically have hair – on the face, chest, face, and back. Lavender and tea tree oils may have antiandrogenic properties, and therefore, when applied topically, can reduce the growth of hair (8). Those with sensitive skin, don’t rub too hard, or you will develop rashes. Those with sensitive skin, don’t rub too hard. The paste starts sticking to the hair as it dries. Once we start massaging it, the hair stuck to the dried paste comes off as well. Wheat bran is the product that remains after we refine the grain of wheat. Because of its high nutrient content, it is used in several cosmetic products such as scrubs and wrinkle creams. Why resort to those expensive OTC products when you can get this awesome product almost for free? (I did say “almost”). Follow this regime thrice a week to get soft, smooth, glowing, and ‘hair-free’ skin. Don’t use a soap to wash it off. The paste, once dry, helps to pull the stuck hair off as well. Apricots are an excellent source of antioxidants, and we all know how antioxidants benefit our skin (9). Add to that the amazing antimicrobial and antioxidant properties of honey – and you have the secret to pretty skin (10). Seen those ads where the models peel off an orange mask from their faces to reveal glowing, brighter skin? Well, the “brighter” part can be vouched for by the fact that most of the tiny hairs on their face get ripped off along with the mask. But why opt for the chemical-laden products when you can make yours right at home? You can apply this mixture thrice a week for best results. The powdered forms of all these ingredients are easily available online – gone are the days when we had to grind the peel ourselves. All you need to do is follow this regime religiously to win the war against unwanted hair. Make sure that you don’t apply the mixture on your eyebrows. Whenever required. Yes, an ‘ouch’ method, but very effective and gives instant results. Make sure that the mixture isn’t too hot before application, or you might end up with scalded skin. Whenever you want instant results. Positive aspect: It will take care of the blackheads as well. Negative: It’s icky and sticky. This is my least favorite of all the home treatments. It’s sticky and smelly, but, well, beggars can’t be choosers! And if you have nothing else at home, this is an excellent go-to product as it works very well on stubborn hairs. Please be careful while applying this mixture – ensure that you keep it away from your eyebrows. In case you apply it on them accidently, don’t panic. Dip a cotton ball in water and wipe it off. If it still sticks to your eyebrows, wash it off using lukewarm water. As a result, the release of the follicle stimulating hormone is mildly inhibited. Therefore, consuming the chaste tree extract will balance the right hormones essential for women (increase progesterone hormone as compared to estrogen hormone), and treat their menstrual problems related to PCOS. As a “side effect”, you will get rid of excessive hair as well! Add whatever you like – honey, sweet cream, or milk. This is a fairly familiar method for facial hair removal. Sometimes don’t we just beg the lady at the salon to wax that ugly mustache off just to spare yourself the pain of threading? Not that this doesn’t hurt but it is a lot less painful than threading. 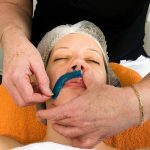 When it comes to face, waxing is an efficient hair removal technique to wipe away the unwanted hair on the sides of the face as well as the upper lip area. 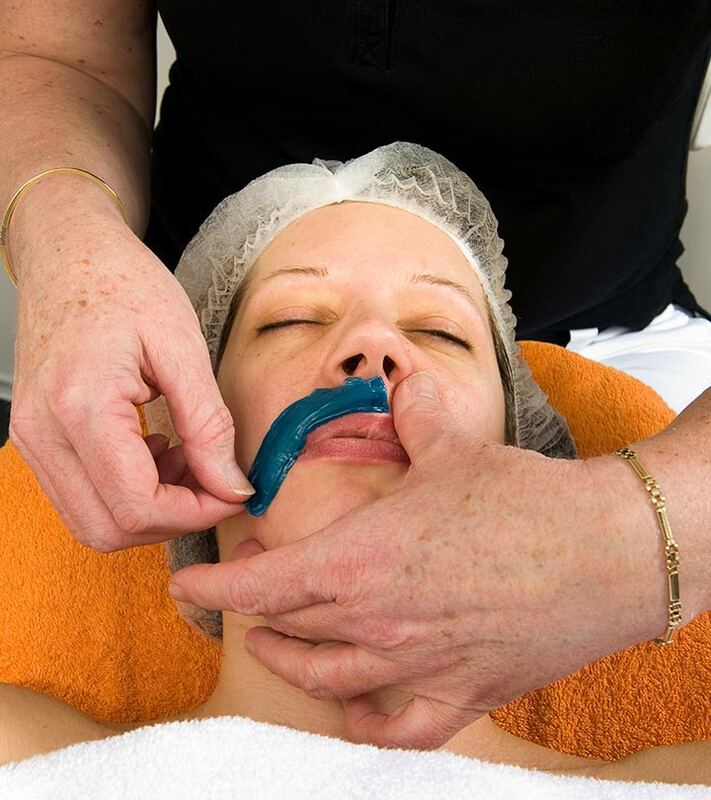 However, it is highly recommended to avoid waxing the chin area as it tends to be coarser and you can end up with skin irritation. The waxing procedure happens to be quite painful and may prove problematical for darker complexioned beauties, whose skin at times gets irritated and inflamed while waxing. Many dermatologists advise to not go for a wax for facial hair. Hair is pulled from the roots of the skin causing premature aging. Skin also loses its elasticity. This is a technique that we are all well aware off. In this technique, they are using a thin thread to rip out the hair one by one on our face, it is never pleasant. We invariably walk out almost ready to cry! 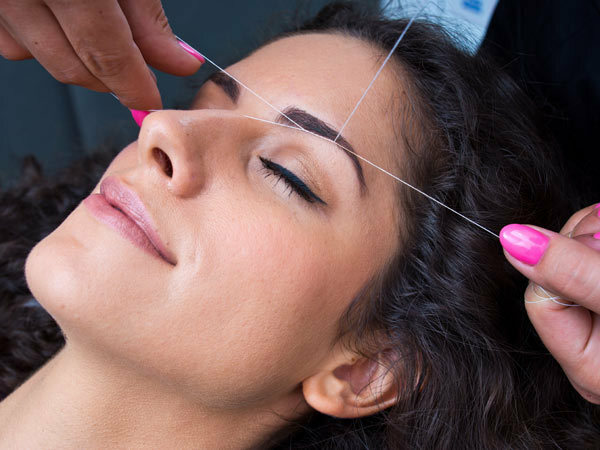 Threading is a very common method to remove hair from the roots. A thin strand is twisted around itself and then used to remove the hair from the roots. This is the most preferred answer for the question on how to get rid of facial hair in salons. It gives good results; however, its effect does not last long. You have to thread regularly so that the hair growth becomes less frequent. You can also apply peel off masks to remove facial hair. In this type of hair removal, the cream is spread on your face and is allowed to dry out. This not just adheres to the upper layer of the epidermis but also to the unwanted hair. When peeled off, the dead and dry skin along with the unwanted hair is peeled off. This is a sure shot way to take care of your skin and facial hair removal in one step. 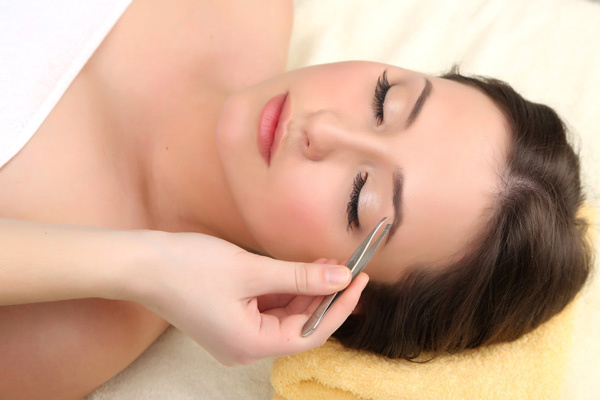 Tweezing is one of the most commonly used methods of getting rid of those pesky strands on your face and other body parts. In this method, the hair is plucked from the root. This is an ideal solution for removing hair from small areas like chin, eyebrows, and upper lip area. Like everything, tweezing treatment has some cons as well. First of all, it is a time taking process and can’t be turned to for removing unwanted hair on larger body parts like legs, arms, etc. Moreover, pulling out the hair can cause irritation of the hair follicles which may lead to scarring. This is a permanent solution for facial hair removal. In this process, the hair is burnt from the roots using electric current. However, this is a time-consuming process and needs a few repeats before permanence sets in. It can end up being expensive if done over a larger portion. While many say that this process is painful, in reality, you don’t feel anything more than mild discomfort. Since the amount of hair you have on your face is decided by genes and hormones, even the number of sittings required for complete removal also depends on its thickness. However, consult your doctor before undergoing electrolysis to know whether the treatment will suit you or not. For instance, those who have pacemakers can’t go for electrolysis. A sterile probe is inserted alongside the hair in the follicle opening. A probe is different from a needle because it a solid wire, unlike a needle which is hollow on the inside. A radio frequency is then applied to destroy the individual hair follicle that controls the development of that hair. The technician then slips the hair out of the follicle using a sterilized forceps to grasp it. Once these hair cells are destroyed completely, the hair will not grow back from that follicle. The body will be unable to regenerate hair in that follicle. This may take several treatments. And Tada! This is the latest wonder of science! Here doctors just use a high energy light ray to burn the hair from the roots preventing regrowth in most cases and even if regrowth occurs, the hair is lighter and less dense. This process of hair removal is brilliant but expensive too. Laser hair removal destroys follicles creating hair growth and you can get rid of your unwanted facial hair permanently. This process must be done in consultation with a reputed doctor. The basic mechanism behind this procedure is to selectively pick the dark cells responsible for hair growth and destroying them. A light ray at a specific wavelength and pulse is selected for this purpose. Melanin is considered the primary chromatophore or the color producing agent that aids in hair growth. This is again of two kinds, the eumelanin and phoemelanin. The eumelanin controls the brown and black colors while the latter controls the blonde and red. The light waves sent out can be modified only to target the darker colors, and that is why laser treatment works only on this darker hair. Bleach changes the hair color to match the skin tone. The results stay for two weeks. 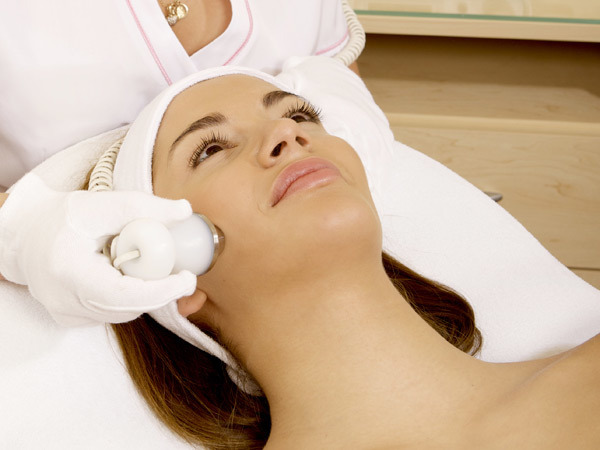 Many women desperately want to have a radiant, light and clear skin. They use various forms of bleaching for this purpose, the natural ones like lemon and also cosmetic bleaches. Nowadays, women are using household bleaches to make their skin glow. However, this trend can do more harm than good. Skin experts don’t recommend the use of household bleach on the face. Cream bleach is suitable for lightening dark facial hair. Facial bleach has a different concentration than body bleach. The skin on the face is prone to irritation quicker than any other part of the body. The face is more exposed to the sun compared to the rest of the body, so using face bleach is advisable. Bleach to some extent has a corrosive effect on the skin. If a person already has dermatitis, then bleaching can aggravate the condition. Sometimes, bleaching can cause infection, hyperpigmentation and tanning. This can make the skin cancer prone. 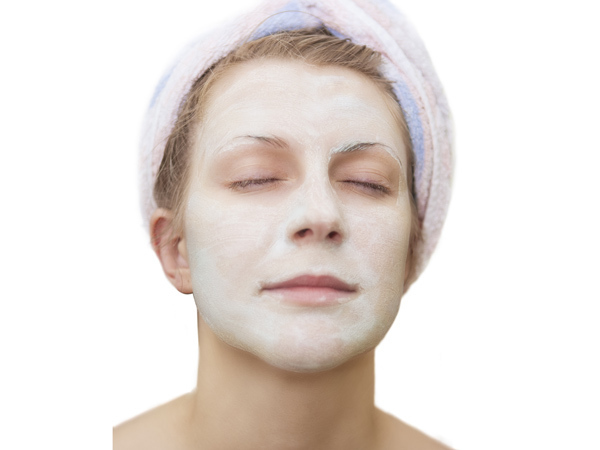 Always do a patch test of the bleach to be used before applying it directly on face. This patch test should be done on the arm and wait for 24 hours before using it on larger areas of the skin. Don’t apply the face bleach near the eyes and inside the nose or ears. Don’t use bleach on the scar tissue, warts and moles. Bleach shouldn’t be used over sunburnt, irritated and chapped skin or an area that is freshly shaved. Metal and bleach don’t go well. So don’t mix bleach in a metal container. Avoid sun exposure after bleaching for a day. Using a razor is one of the best and easiest methods of hair removal. Shaving helps to get rid of unwanted hair in a quick and painless way. A razor with five blades works best as it gives a close shave. Disposable razors are great if you are especially concerned about hygiene and don’t want to reuse one. You don’t need to change your blade regularly as most razors come with multi-use razors. Make sure you avoid shaving in a very hot shower. Always lather and then shave to avoid getting cuts on the skin. Shave on the opposite side of the hair growth for best results. This type of hair removal can easily be done at home. A quick, simple and painless method that gives instant results is using a hair removal cream. Using a hair removing cream is especially good when you don’t have time to visit a parlor. It is also perfect if you are looking for a short term result, as the effect lasts only for a few days. Most hair removing creams come with moisturizing properties and leave your skin feeling silky soft. These do not darken your skin or cause any spots. This is the best way to remove hair from the face that can easily be done at home. Epilators are a good option to get rid of unwanted hair, especially when the growth is not much. These have about a thousand plucks per minute and are good for removing small hair. Epilators are extremely convenient to carry around, and you can easily use this on the go. A painless and quick way to remove body hair. You can easily use an epilator in the comfort of your home for hair removal. There are several creams and lotions that use a chemical process to ‘melt’ the hair. They are easy to use and pain-free method of removing facial hair. However, they can cause facial burns if used incorrectly. Also, the effect of these creams lasts only a week. Prescription creams work like depilatories. This is not a permanent solution to remove hair, but it can produce some effect. If your hair thickness and color is hormone-based, then you will be able to reduce hair growth by using hormone treatments and oral contraceptives. Consult with your doctor before taking these hormone treatments. Some of the methods to remove facial hair can be really painful. However, if you follow the methods frequently then the procedure becomes less painful. If you are young, then wait it out. When you regain hormonal balance, then the hair will naturally disappear or become less visible. Makeup can’t cover hair, and it will only form a patch around it. So avoid applying makeup on the areas you have more hair to distract focus. For instance, if you have hair on the upper lip then just go for a natural lipstick and smokey eyes. Don’t overdo these hair removal procedures. Take professional help if necessary. Heredity: If your mother has excess facial hair then you are likely to have the same, genetics play a crucial role. Stress: Stress cause hormonal changes in the body. These hormonal changes have a negative impact on overall health, and it can also cause excess hair growth. Hormonal Changes: Women have hormonal changes in their body at various stages of life. Hormonal changes occur during adolescence, pregnancy and menopause. This can cause excess facial hair. Also, polycystic ovary syndrome and irregular periods can cause excess hair growth. Hormone fluxes are associated with age. For instance, young teen girls and women higher on the age bar are prone to the problem. Hair changes can also be caused by tumors in glands which control hormones. Like tumors in the adrenal glands and ovaries can cause hormonal change. Hormonal disorders like acne and excess weight gain can also trigger dense facial hair growth. Menopause: The androgen or male hormone level in the blood increases during menopause causing the facial hair to become dense and thick. Steroid Creams: Sometimes steroid creams can lead to excess hair growth. Steroids are used to treat health problems like endometriosis. Cushing’s syndrome: This medical condition occurs when the body overproduces the hormone cortisol for a long period of time. This also leads to excess hair growth. Excess hair growth can occur if a woman’s hair follicles are unusually sensitive to male hormones.The exact cause why this happens is not known. This also leads to dense hair growth. Race or Ethnicity: Women from certain ethnic groups have an increased risk of developing dense hair growth on the face and other parts of the body. Women of Middle Eastern, South Asian and Mediterranean descent are prone to excess hair growth. So, now are you wondering on how to remove hair from face? Given here are some facial hair removal methods which are safe. Sometimes, methods of facial hair removal can present a certain risk for ingrown hairs. Sometimes, ingrown hair can cause skin infection and scarring. So you have to avoid ingrown hair and see which hair removal method suits you best. Removing body hair does not always have to be painful. Keep your skin well moisturized and follow the instructions for whichever method you choose. In no time, you will have a smooth skin that will make others go green with envy. Show it off girl! 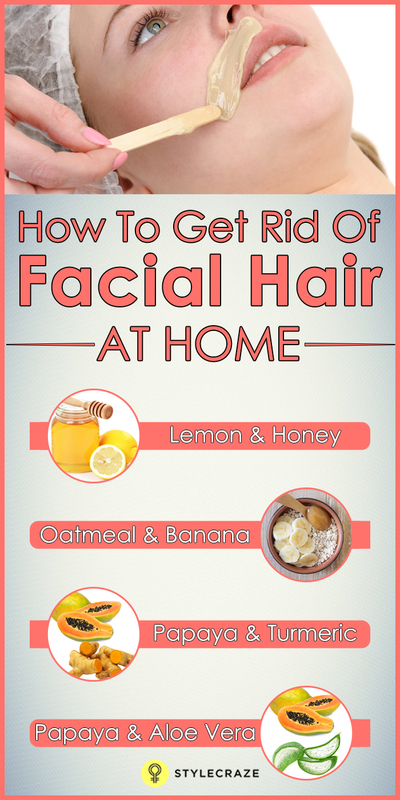 These are some of the easiest home remedies to remove facial hair. So, what are you waiting for? You don’t have to be the bearded lady if you don’t want to. You are beautiful anyway, but it won’t hurt to give these natural remedies a try. I am sure they will work wonders for you. Don’t forget to leave your comments. The box is right below!